It's been a less busy week as I've had a few days off, so I've been able to enjoy having my daughter at home. She is on her half term week and has enjoyed it very much so far. We've had a trip to the zoo, country walks and my daughter has enjoyed sleep-overs with her Grandmother and Dad. Last weekend my partner and I enjoyed a lovely mystery tour, this is what we call a drive with no idea where we are going or why! It's nice to discover places and roads you've never been to or down before, even if they're in your local area. What fabulous views we enjoyed! My partner was very patient with me constantly asking to stop to take photos every five minutes ha ha! I've started making a quilt!! I love a challenge Joy....it's a start - we will have to see if I ever finish it... Now, I'm sure most of you are familiar with Helen Phillips's Blog Well, after Christmas I finally treated myself to her book pretty patchwork gifts and have found myself totally inspired by it and have used her wonderful influences in my quilt. A recommended read if you love everything on her blog - check the book out you'll love it too! I've picked up the hook this week too, and have started another endless granny square quilt but in brighter colours this time. I thought the colours looked quite summery and would fit in nicely on the decking in the summer. Welcome to my new followers - so lovely to have you with me. Hope you've all enjoyed a lovely week? Thank you so much for your lovely comments on the last post, you've made me realize that beige isn't always boring! 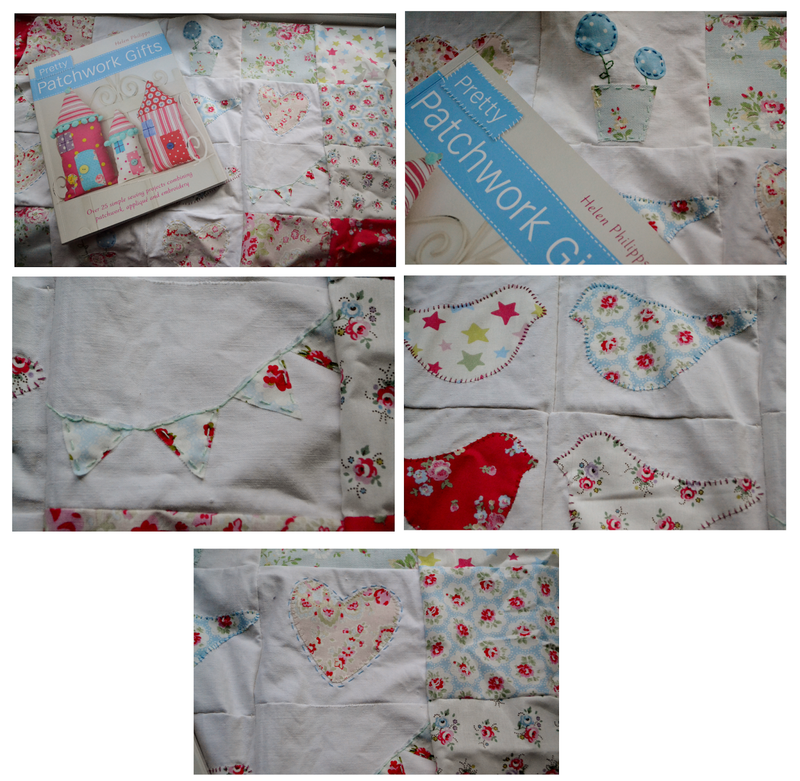 It will be lovely to see your quilt grow, I would love to make a quilt....one day!!!! Helen is a very talented lady and very inspiring! I LOVE the colors for your granny square blanket! I am working on my own right now and I love the simplicity of the pattern and seeing it continue to grow! Loved the quilt, the little birds are stunning. Beautiful granny blanket the hot summer colours will look perfect on decking. I loved the idea of a mystery tour. Oh well done FB, I'm so pleased to see you took up the challenge - and you have inspired me to take up the hook again and start my own never ending granny square blanket - thanks so much, I'm really enjoying the relaxation it's bringing about! Your quilt is going to be gorgeous and I'm longing to see more of it, also your new crochet blanket is looking so bright and colourful - I love it! Would you believe, I have never visited Helen Philipps blog, so I must pop over and take at look at the work of this obviously very talented lady, thanks for the link FB! 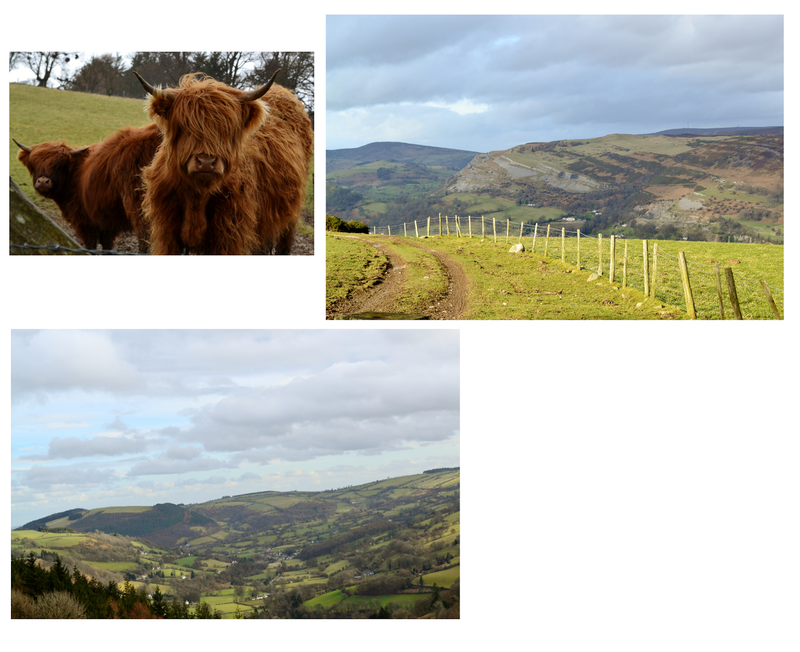 So lovely that you and your lovely man took a mystery trip, the pics are wonderful - especially the cattle, ah those eyes melt me! I'm looking forward to seeing your never ending granny square project. It is very relaxing. I'm resting the quilt for this week but will get back on to it soon. 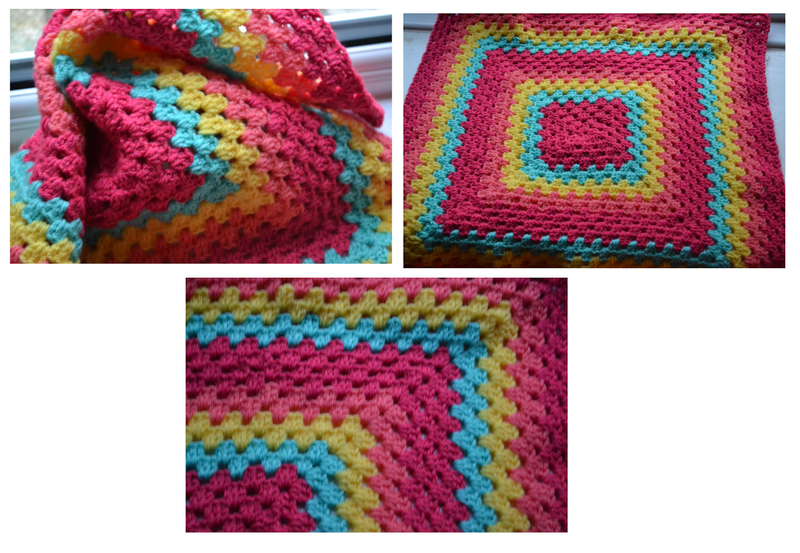 Your granny blanket is lovely , great bright colours . I love beige . Your quilt is looking beautiful! I'm so glad you like my book and are inspired by it. I love the colours of your crochet too. Your photos are lovely of your mystery tour......we enjoy going on those too! What a beautiful landscape on your road trip. My boyfriend and I have the best dates when we just get in the car and drive aimlessly. We always stumble upon something fabulous! The fabrics you are using the in quilt are so sweet. Love that granny square quilt! Have a great weekend. Beautiful photos. I love your granny square so far - I cannot help feeling happy when I see a granny square, especially one in such happy colours! I love your crochet and your patchwork birds, so pretty! I love the new endless granny blanket, the colors are fantastic. I love the idea of a mystery tour, I might have to try it! Looks like a fun magical mystery tour! Helen's book looks wonderful, her blog is always full of beautiful things! Love the colours in your granny square - will look amazing!